Before, I get started, let me just say how much I love blogging. When I started my blog, I had no idea where it was going. But, persistence and determination helped it grow and blossom into what it is today! Blogging is not always easy, fun, or instantly rewarding, but it offers you the chance to be creative, express your thoughts and to reach others in a unique way. Plus, when you do start getting rewarded, it’s pretty sweet. So, I’m going to go over the exact steps I took to create my blog. Keep in mind that your blog journey may be different. You may use different tools or do the steps differently. Just start doing something! I have one word for you on this topic: WordPress. Using WordPress to build my website and blog was one of the smartest decisions I had made. I love WordPress and I’m not afraid to share that. But, I will admit that I haven’t used anything else because I fell in love with WordPress. Not just the software either, but the community. Other platforms that will get the job done are SquareSpace, Wix, and Medium. Pick one and get to know it because you will be using it a lot! This is why I’m telling you to just write. The more you write the more you find your voice, perfect your skills and learn what your audience will like. 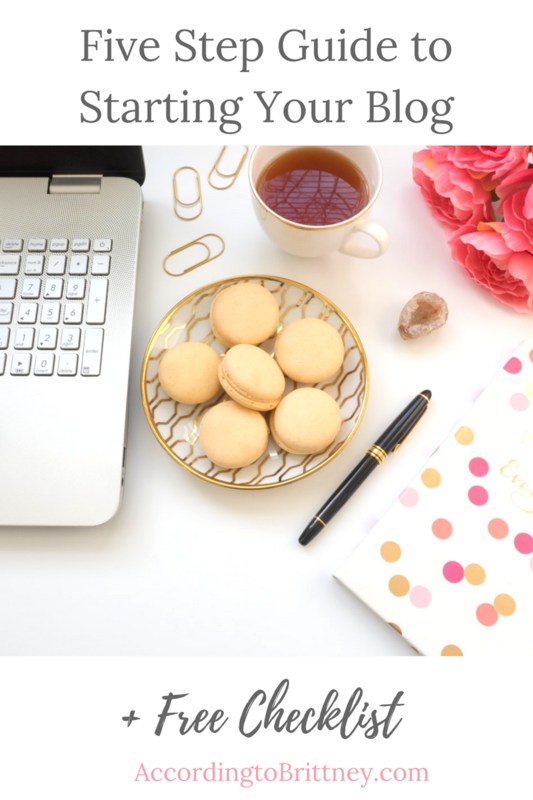 By no means will your blog be perfect (My first few blogs are cringe-worthy) in the beginning, but the more you do it, the better it will get! Download a Free Start Start Your Guide Checklist here! Writing a beautiful blog post is just half the battle. You’ve gotta get it out to the world! So, that means you’ve got to promote. Thankfully, with social media, it’s relatively cheap and easy to do so! Set up some social media accounts that align with your blog. Join Facebook groups, Pinterest boards, etc. Anything where there is other people who might love your content! I decided to wait to build my blog up before I self hosted it. I think it was a wise decision because I started building a following before I spent much on my blog. Plus, I took the time to learn about it and do it right (I’m no computer genius!). I recommend Siteground. Their customer service is literally superior. They transferred my site from WordPress.com to WordPress.org, gave me an SSL certificate and solve any problem I have all for free (besides the annual hosting fee). Other options are Godaddy, BlueHost, etc. The final step is the most crucial, yet we all forget it (even me). A blog is nothing without an audience and as the host, you must cultivate that audience. You need to keep people coming back for me and engaging with those people! The best way to build an audience is to authentically engage with your readers. Reply to their comments, offer them something interesting like a guide or checklist and really try to get to know them. Email lists are another great way to build your audience. I use Mailerlite for my email service. Others are Mailchimp, Convertkit, GetResponse. When I’m asked about blogging, I’m always frank. It’s not easy and you have to put a lot of time and even money to build it up. It’s not a get rich quick scheme. But, with persistence, you can really reap the rewards! What do you want to blog about? Tell us in the comments.